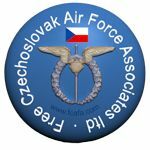 On 14 August 2017, a ceremony was held at the Winged Lion Monument, at Klárov, Prague, to commemorate the 72nd anniversary of the return of the Czechoslovak men and women who had served in the RAF during WW2. The event was, as usual, jointly organised by the Nadační fond – Evropské vzdělávací centrum armádního generála Karla Janouška and the Municipal Council of Prague 1. The well-attended ceremony included, Deputy Minister of Defense Jakub Landovský, Deputy Chief of General Staff – SOC Director Major-General Jiří Verner, Commander of the Czech Air Force Major-General Jaromír Šebesta, his deputy Brigadier-General Petr Hromek, Mayor of Prague 1, Oldřich Lomecký, Jiří Hynek President of Asociace obranného a bezpečnostního průmyslu ČR, Deputy Chief of the General Staff of the Czech Air Force General Bohuslav Dvorak, Czechoslovak RAF veterans Major-General Emil Boček and Brigadier-General Pavel Vranský, relatives of Czechoslovak RAF airmen, including Hana Fajtlová, widow of General František Fajtl, Jessica Horváthová, Director of Nadační fond – Evropské vzdělávací centrum armádního generála Karla Janouška, numerous members of the Czech Air Force and Parachute Regiment, representatives of veteran groups, scouts and well wishers including from the British community in Prague and also from the UK. Background music was provided by a kilted Czech bagpipe band. Jiří Stanislav of the Nadační fond hosted the event and expressed outrage at the latest proposal from Prague’s City Hall Heritage to have the Winged Lion monument moved to a less prominent location. He emphasied determination that the monument remain at Klarov, a view which was heartly supported by those present. Speeches then followed by Oldřich Lomecký, Major-General Jaromír Šebesta and Jiří Hynek. Wreaths were then laid led by General Major Jaromír Šebesta and Brigadier General Petr Hromek, Oldřich Lomecký with Major-General Jiří Verner, Jakub Landovský and General Bohuslav Dvorak, Euan Edworthy, Nicholas Edworthy and Nick Watson on behalf of the British community in the Czech Republic, Jessica Horváthová with Jiří Petrásek Werich, Brigadier General Pavel Vranský as well as relatives of the Czechoslovak RAF airmen and well wishers. The National anthems of the Czech Republic, Slovak Republic and Great Britain were played followed by a minute silence. The ceremony concluded with a wreath also being placed at the nearby memorial plaque for Air Marshall Karel Janoušek. 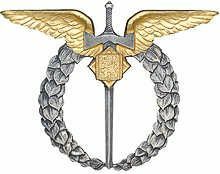 This entry was posted in 310 Sqd, 311 Sqd, 312 Sqd, 313 Sqd, 68 Sqd, Anniversary, Events, Not Forgotton. Bookmark the permalink. I am proud to know of this ceremony and wonder what my father Vladimír Kopeček (312 Squadron) would have to say about such recognition. By all accounts a wonderful tribute to all those to whom the Winged Lion is dedicated. I cannot imagine a better place for such a fitting monument. Sorry not to be able to join in. Fantastic to see the support and the remembrance for these men and women who fought for freedom back in the 1940’s . RIP. A very moving ceremony, as always, and the Winged Lion at Malostranská is the perfect place to hold it. 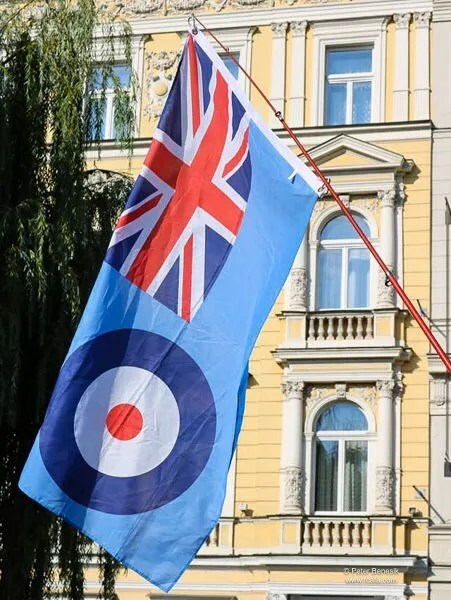 The lion is a wonderful tribute to all the Czech and Slovak air crews and the part they played in WWII and as a British daughter of a Czech father who flew with 311 Squadron, I was very proud to attend the ceremony.